Following the ineffectiveness of the League of Nations in maintaining order and peace in the world, the United Nations was established on October 24, 1945, to prevent the advent of a new world conflict. The creation of this organization was based on a great incoherence, namely the inequality between member states. Only five (China, France, Russia, the United Kingdom, and the United States) are permanent, hold the veto and control the world in a certain way. From 1945 to 2016, the world has lived somehow with this incoherence. The UN has maintained relative peace in the world. It has defused conflicts that could escalate, especially during the Cold War, and has (relatively) calmed the hotbeds of tension (e.g., Kashmir, North Korea). This congenital incoherence of the UN has helped to stabilize international relations and made states’ reactions somewhat predictable. The UN has also developed a de facto ethics to which practically all its members adhere… until the advent of Trump, who has scrambled everything! The Trump effect is the perfect embodiment of the incoherence of the incoherence. The first incoherence is an inconsistency in the U.S. electoral system. On the one hand, a president (Trump) is elected with fewer votes than his opponent Clinton (62,984,825 votes vs. 65,853,516), which has reinforced the existing divisions within the American electorate and, in general, American society. On the other hand, the Russian meddling in this presidential election raises many questions and provides very few answers and those only in small increments, as multiple investigations are still ongoing. The second incoherence is a heresy with regards to dominant economic doctrines. Trump’s Make America Great Again (“Together we will make America strong again, we will make America wealthy again, we will make America proud again, we will make America safe again and, yes, together, we will make America great again.”) is a foothold in the capitalist ways (free trade, competition…) prevailing in the West and defended and imposed by the West on the rest of the world. American protectionism is a short-sighted vision: it may give some of the expected results to the American economy in the very short term, but it does more harm in the long run. “The president’s ideas about free trade are dangerous and could lead to economic chaos”, as explained in US News by Liz Mair, founder, owner and president of Mair Strategies LLC. The third incoherence falls within the scope of Machiavelism. Trump offers an unusual example to his fellow citizens and to the rest of the world. On the one hand, Trump began with his infamous Wall with Mexico to stop illegal immigration and stop immigrants from ‘stealing’ jobs from Americans. “Decades of record immigration have produced lower wages and higher unemployment for our citizens, especially for African-American and Latino workers,” said Trump. “When Mexico sends its people, they’re not sending their best. They’re not sending you, they’re not sending you. They’re sending people who have lots of problems and they’re bringing their problems with us. They’re bringing drugs, they’re bringing crime, they’re rapists, and some, I assume, are good people,” Trump continues. That said, a good part of many industries and companies (including Trump’s own) employ and rely on immigrants (including Mexicans), and just one of the many reasons to question his policy. On the other hand, the multiple travel bans imposed by Trump have been made against ‘rogue’ countries (e.g., Syria, Iran, Libya) while the countries from which the terrorists who attacked the U.S. originate are not affected (e.g., the KSA), since the economic interests of Trump (and of his wealthy backers) are there! Find the error! The fourth incoherence is an almost daily language heresy in the media colored with racism and misogyny. The non-respect of diplomatic language and of diplomatic know-how have become the new normal. Insulting countries (“Why do we want all these people from ‘shithole countries’ coming here? […] Why do we need more Haitians? Take them out.” and targeting Muslims (e.g., retweeting a series of anti-Muslim videos), women and the LGBT community (e.g., a decree that reinstated the Global Gag Rule) only feed the far-right groups who see their ideas legitimized by the President of the world’s largest economic power. Social media take over and amplify this phenomenon. The sixth incoherence is related to blackmail and threats. Whether it is NATO that Trump has repeatedly threatened to leave and had begun to withdraw support for, the UN and its organs (e.g., UNESCO) that he continually criticizes and/or threatens to stop paying, or other countries; Trump bullies everyone, acting like a temperamental, impulsive child and not like a President. Even his Old Continent allies have realized (too late) that they must rely on themselves and not on the U.S. and have started courting China and even Russia to a certain extent. “The times in which we could fully rely on others are partly over. I have experienced this in the last few days […] We Europeans really have to take our destiny into our own hands”, said Merkel in a tweet after a Trump attack on NATO and Germany. The seventh incoherence can be compared to the behavior of a bad player. The trade war with China, the world’s second-largest economy and the world’s largest currency reserve holder is an example of this attitude. 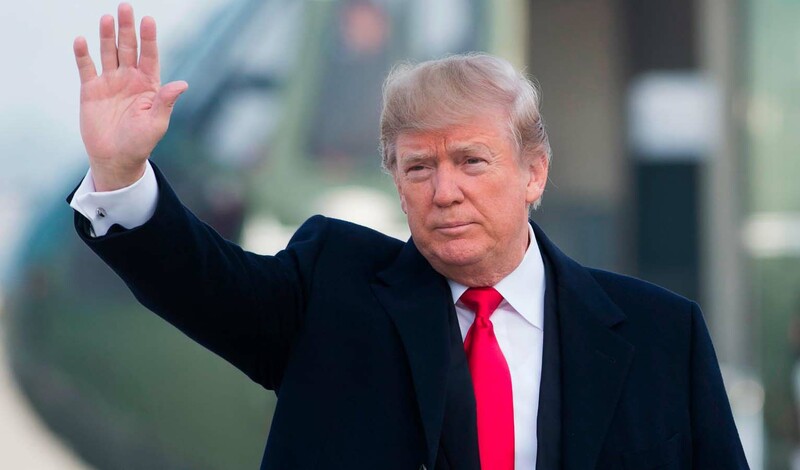 “We are not in a trade war with China, that war was lost many years ago by the foolish, or incompetent, people who represented the U.S. […] now we have a Trade Deficit of $500 Billion a year, with Intellectual Property Theft of another $300 billion. We cannot let this continue!” Trump tweeted. China, with the wind in its sails, continues to grow and weaves its web through its One Belt One Road (OBOR) initiative that has conquered more than 65 countries, including some Western countries. Economic forecasts showing that in 2028 China will replace the U.S. as the world’s leading economic power have pushed Trump to want to crack down. China is not like Japan of the 1980s; instead, China has faced him firmly and Trump is starting to backtrack. The eighth incoherence is related to state gangsterism. Trump has threatened to withdraw U.S. support to all countries offering their votes to Morocco’s bid for the World Cup in 2026 as he has decided that the bid made jointly by the U.S., Canada, and Mexico should win. 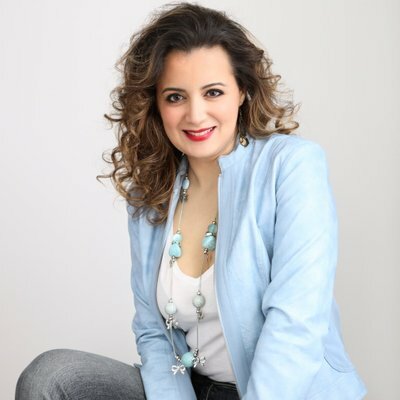 (“The US has put together a STRONG bid with Canada and Mexico for the 2026 World Cup, Trump tweeted. It would be a shame if countries that we always support were to lobby against the U.S. bid. 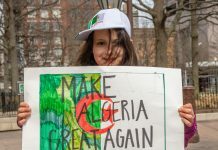 Why should we be supporting these countries when they don’t support us (including at the United Nations)?”) With this act, Trump has just erased 241 years of friendship; Morocco was the first country to officially recognize the independence of the U.S. in 1777 and it is one of the U.S.’ oldest and closest allies in North Africa. The ninth incoherence is the denial, on May 8th, of the solemn multilateral pledge made by the Obama administration with regards to the JCPOA. This is considered as a betrayal, not just of Iran, but of the other veto-holders. After labelling the JCPOA as “an embarrassment to the United States”, Trump threatens the world: “We will be instituting the highest level of economic sanction. 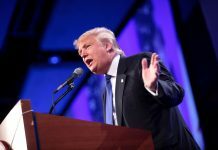 […] Any nation that helps Iran in its quest for nuclear weapons could also be strongly sanctioned by the United States.” Trump’s stance with regards to Iran is another wick thrown into the brazier of the Middle East, a wick fed by Israel and that does not bode well for the future of the region. The disengagement of the world’s largest economic power from an international treaty is an unprecedented event. The tenth incoherence is an autistic attitude in which Trump is acting like a lone ranger. The inauguration, on May 14th, of the United States Embassy in Jerusalem to the dismay of a good part of the world’s opinion took place in the presence of American evangelists who prayed for the return of the Messiah. After years of relative lull in the region, this event was the catalyst for a human tragedy on the Palestinian side, a new Nakba (a new catastrophe happening 70 years after the first one)… while the Palestinian problem is still pending a settlement following the status quo adopted by all members of the UNSC and which has the approval of many members of the UN. This set of incoherencies revolves around Trump and his spoiled-selfish-uneducated child’s attitudes. Trump leads the world following his whims without thinking of others or of the consequences of his actions. Trump imposes his point of view on others. The image that comes to mind is that Trump punches and then ‘thinks’ about his act, or rather how to contain the catastrophe he has just created… the absolute opposite of what should take place! 7. the image of the U.S., symbol of democracy and freedom, is now forever tarnished at the level of the whole world, and especially among its closest allies. On the one hand, Trump’s actions analyzed by outsiders are seen as incoherent and selfish, but there is some reason to wonder whether his belligerence is a bluff or if it hides a (geo) strategic objective that serves his own interests! Indeed, as just one example, oil prices have soared with the announcement of the withdrawal of the U.S. from the JCPOA. The U.S., being an exporting country, benefits from this rise. These welcomed royalties can help finance the U.S. infrastructure upgrading projects that are needed as desperately as during the Great Depression. That said, Iran is not at all happy about this turnaround and is likely to take action by resuming its nuclear activities and continuing its proxy war in Syria, which hardly appeals to Israel or the Gulf monarchies. The latter has a double fear: (1) a demographic fear since these countries have many expatriates and therefore the locals are a minority, and (2) a visceral fear of an Iranian nuclear weapon that could erase them from the map. 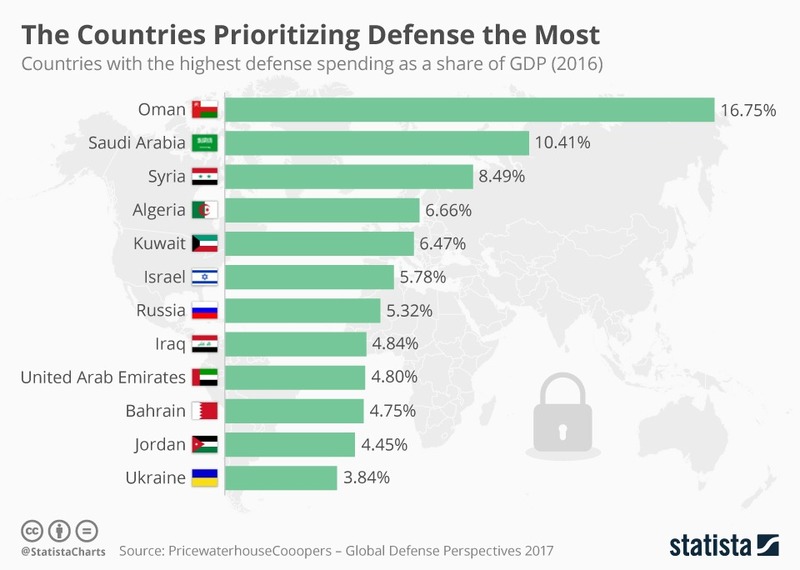 This latter fear is fueled by the U.S., which sells them more weapons (countries like Saudi Arabia and the United Arab Emirates are among the countries with the highest defense spending as a share of GDP according to Statista, and top military spenders in 2017 according to SIPRI), thereby keeping the American war economy in high gear, ensuring the profits of the huge U.S. arms industry. 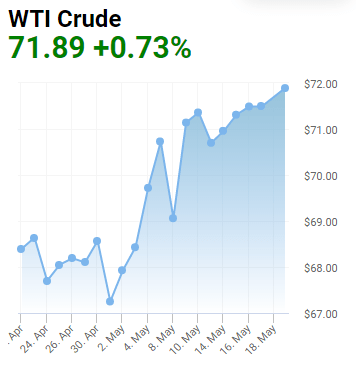 And, with the uncertainty of the war(s) in the region (in addition to other exogenous and endogenous factors), oil prices will continue to rise for the moment, which is welcome for many countries. On the other hand, Trump’s actions seen from his own perspective are only done to keep his election promises. Trump’s primary and ultimate goal is his re-election in the upcoming presidential elections, to the detriment of the difficulties and the harmful consequences that the world will continue to experience during his current mandate. Therapy: The next U.S. presidential election? If the world is currently waiting for the end of Trump’s term for the American people to ‘chase’ him from the White House, the world is likely to be disappointed (for the moment). Trump is already preparing to win his second term, realizing at all costs and against all the odds the promises made to his electorate. 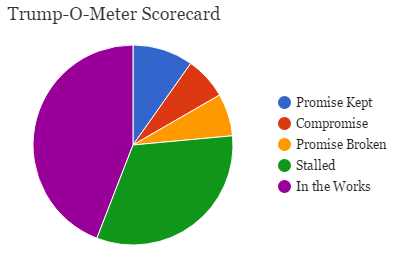 Politifact tracks Trump’s campaign promises and it seems that he is working on keeping them. The world will continue to experience instability in international exchanges and relations and uncertainty with regards to peace in several areas in the world. In the next U.S. presidential election, Americans must elect someone who can make the world forget Trump’s ten plagues. Does this person even exist? What is certain is that the future of the world is in the hands of the American electorate, the only one positioned to begin to heal the world or to push it even further into its disease. 1 A wink to Ibn Rushd’s famous book that gave rise to Averroism. Averroes (Ibn Rushd) commented on Aristotle’s work and influenced Thomas Aquinas.